Managing the growing demands for capacity, compliance and discovery is a challenge faced by every organization. 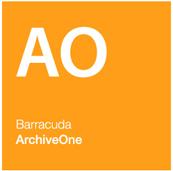 ArchiveOne Files provides a powerful and reliable archiving and management solution that makes it easy to manage data no matter where it resides, enabling central control over files, documents and other important data. 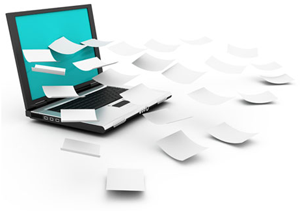 ArchiveOne Files addresses the problems caused by ever-increasing volumes of data, and provides IT Administrators with an immediate reduction in volume of storage together with improved performance. Implement capacity management based on policies to determine intelligently which files to archive. Solve the problems caused by data accumulation, and gain an immediate reduction in storage and improvement in performance without any end user disruption. Apply granular retention and disposition policies to meet corporate strategies for information governance, with no need to archive the data first. Administrators can automate the retention and deletion of files, enabling them to demonstrate compliance with external and statutory regulations and minimize corporate risk. 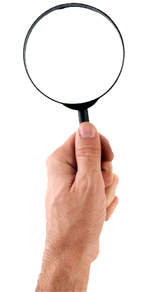 Undertake search and discovery exercises to identify information needed to meet requests for internal investigations, litigation, FOIA and eDiscovery. All relevant data, whether archived or not, can be easily identified, preserved and collected. Reduce server capacity to reduce costs and improve server operation and performance. Identify, collect and enforce legal hold on relevant data, then review and present to meet regulatory or legal eDiscovery demands. Storage capacity is optimized by compressing data as it is archived. Users retain full access to data at all times, with no change to end user experience. Automatically maintain compliance by enforcing corporate data retention and deletion policies. Implement automatic archiving and file management policies for granular control over your data. How Does ArchiveOne Files Work? ArchiveOne Files is a modular data management, archiving and retrieval system which is installed on file servers within your organization. It enables you to design and deploy an effective capacity management and data retention strategy to meet your individual business needs. It is built around a distributed network of individual File Agents, with one agent deployed on each of your file servers to manage data in that location. These File Agents deliver a policy based approach for retaining, archiving and disposing of data, and you can define and use as many policies as you need in order to implement your chosen data management strategy. Data that needs to be archived is moved automatically as required from its original location into a separate data repository. End users retain seamless access to their files even though they have been archived, and data in the archive is fully indexed to support high performance search and retrieval. ArchiveOne Files is configured and controlled via a central management console. This provides administrators with a single view of all their data and enables them to manage all their information management polices centrally, as well as run search and discovery exercises on both live and archived data. 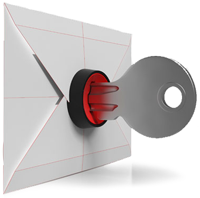 Central server application providing all email archive, search and retrieval operations. Client application installed on each file server to manage data on that server.